Symmetrikit is the market leader in 24hour Postural Management – pioneering Lying, Seating, Moving and Handling; at school or at home. We design, make and supply direct, working in conjunction with Healthcare professionals across the UK. For us, 24 hour Postural care is all about providing appropriate and comfortable support for those who cannot do this for themselves. It’s really just a phrase describing ‘good positioning’. The positive outcomes we strive for include enhanced function, comfort, sleep and protection of body shape as well as easier care routines. Whatever age and whatever level of support you require, Symmetrikit have a solution. 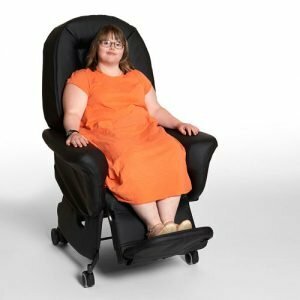 Looking to keep a client ambulant, improve an existing chair or need more complex relax seating, our team of seating specialists have the answer so you don’t need to make multiple appointments to find the best solution. 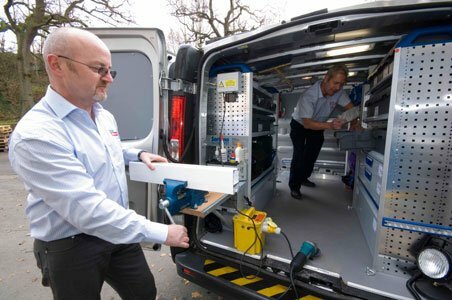 Our modular products come with built-in recyclability – they can be easily ‘refreshed’ and reconfigures to meet changing needs or different client requirements. And it’s no secret, we have a Pressure care division so we can build in the most appropriate level of Pressure ulcer prevention, management and comfort. Symmetrisleep is the World’s most popular in-bed sleep system. It provides dynamic support throughout the night, when the body is more relaxed and susceptible to change. It is widely used for the management of Contractures as well as Pressure Management and thermo-regulation, with our patented Coolover technology, active temperature management available in slings too. 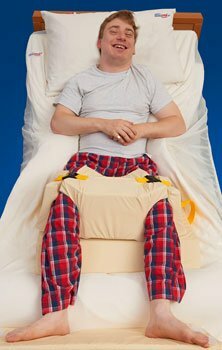 The Acheeva day time positioning system provides support in supine, prone, side lying or sitting up. Students who would otherwise struggle to maintain a functional position can relax and focus on learning and play. The Acheeva has been proven to be truly inclusive, allowing students to join in all classroom activities. We also provide training and educational courses for families and COT approved courses for professional – learning together. These are free of charge and we will come to you, to find out more visit our training website. Our Symmetrikit service team support both our own and other manufactures equipment. If you need help with overhead hoist installations, LOLER inspections, Sling inspection and testing, emergency call outs, routine preventative maintenance – we can tailor a package to suit your individual or organisation needs – ensuring peace of mind and great value for money.